With every holiday season comes one trend that's so ubiquitous that you're borderline tired of it before the weather is even appropriate to wear it. 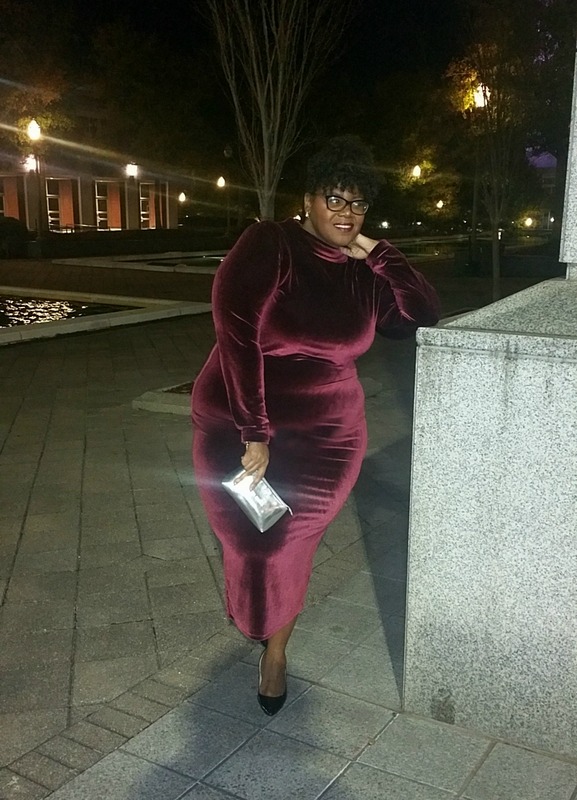 This season, it's unquestionably velvet, and I have to admit that I'm just as obsessed as the rest of the world. This classic collegiate '70s fabric is everywhere and for the holidays a staple for every event. 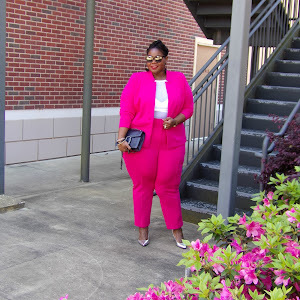 It can easily be dressed up with furs, leathers, and metallics or down with casual pieces. 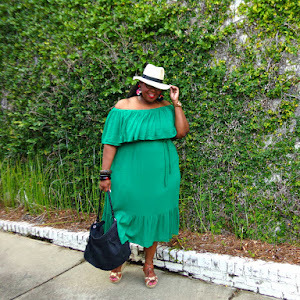 If you're really feeling adventurous, you can rock it in a midi length bodycon as I have today for my last installment with Bianca of Curvaceously Bee. 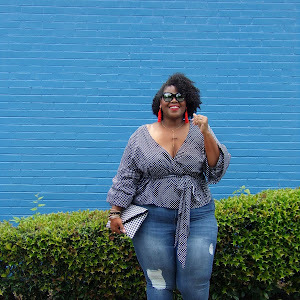 I hit the town in Rebdolls GRISEL. 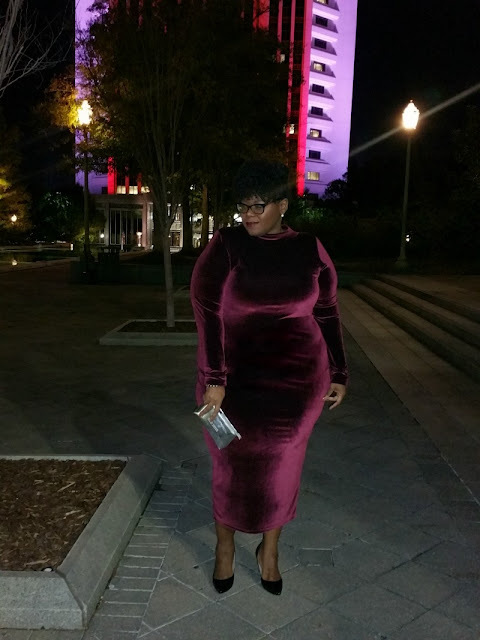 “ONE MORE NIGHT" VELVET TURTLENECK DRESS in Wine. She perfect for the holiday functions and parties on your calendar. 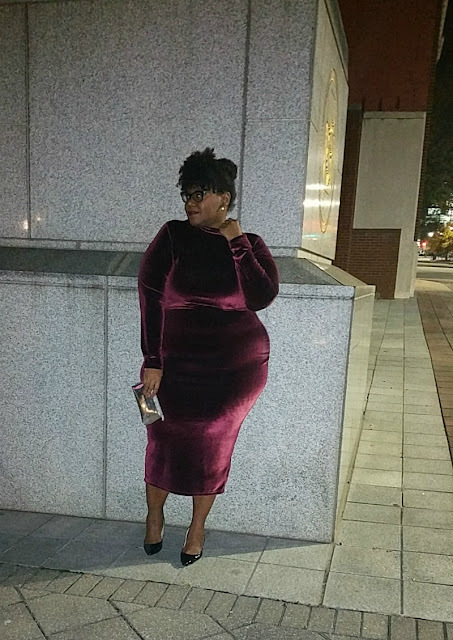 This velvet dream is from the lasted holiday collection from Grisel for Rebdolls. I just had to get this rich beauty. The dress is a full on snug fitting bodycon with an unfinished split in the back, so be careful. 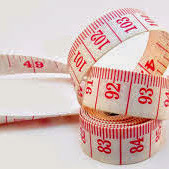 I'm wearing the size 4X, so size up. And while velvet is opulent and often conjures images of dresses and tuxedo jackets, this season it's also being interpreted into casual pieces and outfits, making it more fun to wear. I can't wait to wear her casually. Of course, I will share, so stay tuned!! And if I don't see you until next year, Happy Holidays!!!! It is amazing to see that velvet dresses are still a symbol of fashion. Thanks for sharing the idea.